Cristi Fer Art Gallery and Workshops, in San Miguel de Allende, Mexico: Secrets of Color/ Alla prima a workshop for all levels of painting experience! 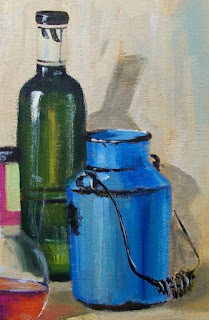 Secrets of Color/ Alla prima a workshop for all levels of painting experience! Secrets of Color workshop offered by Mexican painter Fernando Gonzalez at Cristi Fer Art Studio and Gallery. Maestro Gonzalez has over 30 years of teaching experience and is one of the founders of Cristi Fer Art Studio. His art has luminosity and sensitivity. Learn from a master of color how to mix paint, how to keep it bright and crisp, how to define shapes in few first intention strokes. The class is offered every Wednesday 9:30 AM to 1 PM at Cristi Fer Art Studio and Gallery.